Orlando Fashion Week was founded by Tina Tillet Bridges in August 2011. Orlando Fashion Week debuted in April 2012 showcasing over 25 designers in a three night event at The Abbey in downtown Orlando. Tina Tillet Bridges has been in the fashion industry for over thirty nine years and has earned an AA in Fashion Merchandising & Marketing, BS in Apparel Management and a MA in Management & Leadership. Her President Tara Cadman has a degree in Fashion Merchandising and Design. Tara oversees all the production and designers for Orlando Fashion Week. Yadira Gonzalez her Vice President also has a degree in Fashion Merchandising and Design. Yadira oversees the public relations aspect of the organization. This dynamic trio met at the International Design and Academy in 2008 and have been producing shows in the community since then. 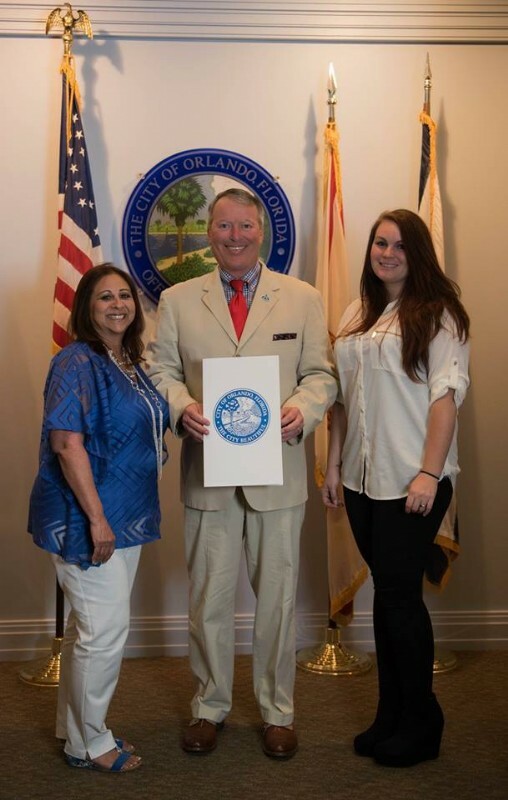 In 2013, Orlando Fashion Week Corporation became a non-profit organization. This change has allowed them and their sponsors to have a bigger impact in charitable causes that they value. 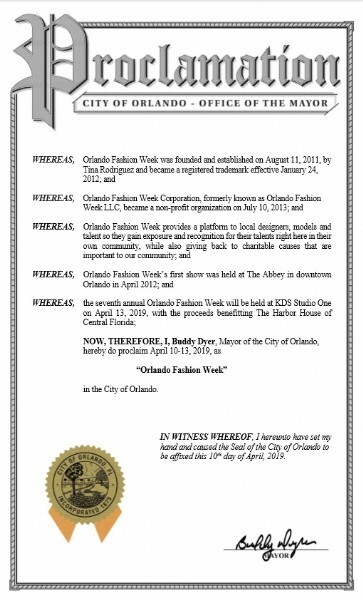 Orlando Fashion Week has been handed "The Proclamation" from Mayor Buddy Dyer as the official Orlando Fashion Week in Orlando. 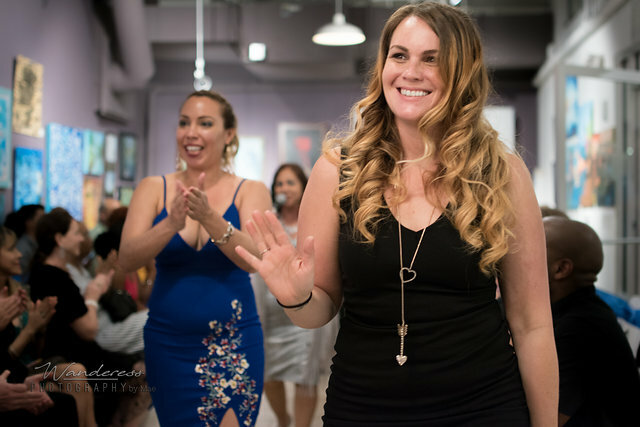 Orlando Fashion Week is a platform for local designers, models, and talent within the Orlando community, their team is committed to assisting others to pursue their dreams in a professional environment and deliver superior fashions shows for all their clients. They are excited to be approaching their Seventh Annual Show in 2019 and look forward to an exciting week of events that includes Orlando Fashion Talks an industry related panel discussion and networking event hosted by Orlando Fashion District, a kick off party at Downtown Divas Bouitque, along with designer runway shows case on Saturday April 13 with designer and vendor pop up shops along with local entertainment!Then too close our week off our "Official After Party " will be at Ice Bar and Fire Lounge with DJ ET!